China (mainland) Guangdong GUANGZHOU CITY,No.3/4 Building,Yongxing Industrial Park,Chentai Road, Guangzhou,China. 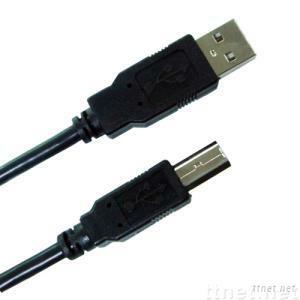 The USB Hi-speed Device Cable interfaces Hi-speed USB 2.0-compliant devices or computer for date transfer speeds of up to 480mbps. Making easy plug & play connections for devices such as USB keyboard, mouse, tablets, modems, printers as well as other USB peripherals. The contacter is 24K gold-plated or Nickel of Tin plated.